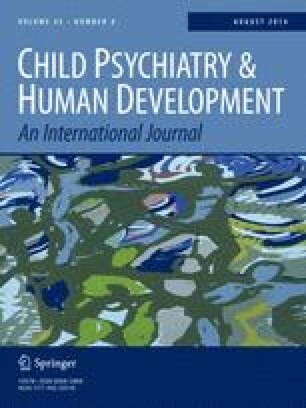 The obsessive–compulsive manifestations course was assessed with the Leyton obsessional inventory-child version survey (LOI-CV) in a 3-year prospective study, using a non-clinical sample. From an initial sample of 1,514 school-age children who underwent symptoms screening for obsessive–compulsive, anxiety and depression, 562 subjects (risk group/without risk group) were re-assessed in the 2nd phase and 242 subjects were monitored after 3 years. LOI-CV scores significantly decreased over time independently of age and gender. The prevalence, persistence and incidence for two levels of severity of obsessive–compulsive manifestations ranged between 4.8–30.4 %, 9.3–28.4 % and 1.1–14.4 %, respectively. 34.6–64.5 % of obsessive–compulsive symptomatology was predicted by anxiety, depressive and obsessive–compulsive symptoms. For the obsessiveness (less severe form of obsessive–compulsive manifestations), the depressive symptoms were not predictors. Gender and socioeconomic status were not related with obsessive–compulsive manifestations. These data support a substantial continuity of the obsessive–compulsive manifestations and the existence of different levels of severity within the obsessive–compulsive spectrum. This research was supported by a grant from the Fondo de Investigaciones Sanitarias (PI07/0839), Instituto de Salud Carlos III of the Spanish Ministry of Health and Consumption and by a doctoral grant from the Department of Universities, Research and the Information Society of the Generalitat de Catalunya (Catalan Government) and the European Social Fund.